Liege, Belgium, 8 April 2019 – 7:30 CEST – Mithra (Euronext Brussels: MITRA), a company dedicated to Women’s Health today announces the publication of its 2018 Annual Report and the invitation to its Ordinary and Extraordinary General Shareholders’ meeting. The Annual Report is available in English and French and can be downloaded on the website investors.mithra.com. In case of interpretation differences, the French version will prevail. 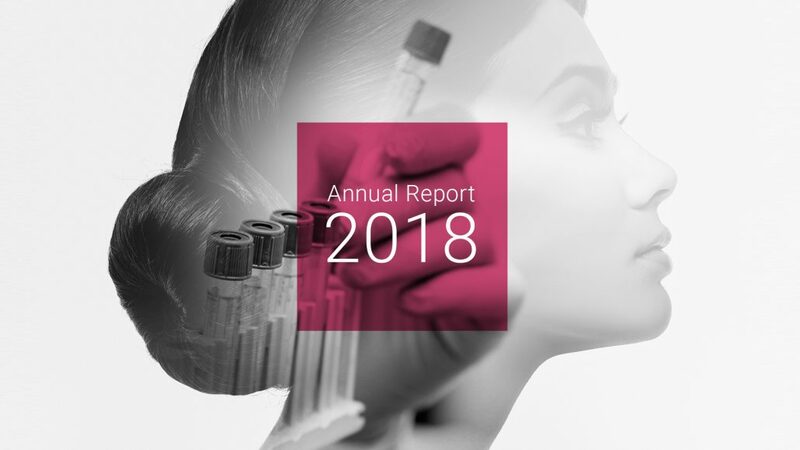 François Fornieri, CEO Mithra Women’s Health, commented : « 2018 has been another record year for Mithra. Our key clinical programs have successfully completed significant milestones, bringing our three potential blockbusters closer to the market. The positive top-line results of the Estelle® Phase III study in both Europe/Russia and the U.S./Canada confirmed the novel efficacy and safety profile and great potential of Estelle®, a true 5th generation oral contraceptive. Our novel candidate for menopausal symptoms, Donesta®, has also successfully completed Phase II of its clinical development. Mithra has also entered a major new and untapped commercial market, perimenopause, with a third potential blockbuster PeriNesta™. Mithra also continued to strengthen its IP portfolio for E4 in contraception and menopause with additional formulation patents filed, bringing the total number of patent families to thirty. In 2019, we will continue to advance our business development efforts across our blockbuster E4 candidates, as well as our complex therapeutics, boosting revenues and underscoring the Group’s financial strength in both the short- and medium term. We expect to announce a commercial partner for Estelle® in the United States, our biggest market. We intent to file with regulatory agencies by the end of 2019 . Donesta® will begin its Phase III study in the second half of 2019. At the same time, we plan to begin the Phase III study of PeriNesta™, requiring limited extra investment. Additional indications for Estetrol (E4) for neuroprotection and wound healing are also under development in the pre-clinical phase. Mithra is pleased to invite its shareholders to its Ordinary and Extraordinary General Shareholder’s meeting that will be held on May 16 2019 at 2:00 PM (CEST) in Mithra CDMO, Rue de l’Expansion 57 in Flémalle (Belgium). The notice for the General Shareholder’s meeting including a description of the formalities to participate in the Meeting is available on the website investors.mithra.com.